Virus Clickers is a colorful, cheerful adventure that enhances the Clickers Games Saga with different levels and characters to choose from, combined with amazing visual and sounds effects. 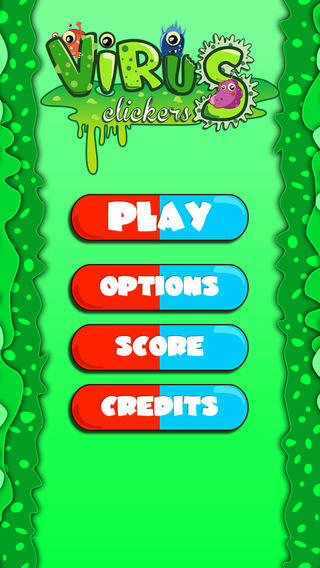 What makes this game interesting and fun to play is the range of character and viruses you can choose from. An old and angry granpa is an easy target for any type of virus. Despite his young age, the boring nerd has a very poor health and viruses can beat him quite easily. This Fatty Rocker has despite its weight will not be too difficult for you to beat. A healty trainer is a difficult target but don’t give up! Evolve your virus with level ups and try to beat him. Kung Fu has strengthened body and spirit of the Shaolin Monk. Only the strongest will be able to beat him. Higher lethality of a virus means less less clicks on the virus to complete the level. VPS (virus per second) means the amount of viruses per second you can produce. Touch Bonus: the amount of virus of a single click. More clicks mean more viruses to the character. The goal of the game is to infect the characters you choose as fast as possible, and get the highest score. Challenge your friends, beat your own score, or do both.